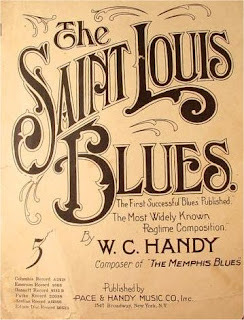 I got the St. Louis Blues, Blues as I can be, That man's got a heart like a rock cast in the sea, Or else he wouldn't have gone so far from me, I love my baby like a school boy loves his pie, Like a Kentucky colonel loves his mint'n rye, I love my man till the day I die. But my favotite song by Etta is this one, along the same vein..
You know DW, I have to get one of those lastest comments boxes on my blog. I had no idea you were over here repeating yourself.